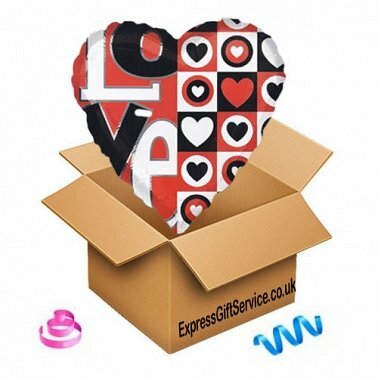 A romantic Happy valentines Balloon in a Box for sending on the date you require. Show them how much you love them with this fun 18 inch helium balloon. Delivered inflated with a ribbon and a weight to stop it flying away!. This Balloon is a great alternative to Cards and Flowers. An ideal gift to celebrate Valentines day. You can send this Balloon on its own or with one of our Bear friend for added impact.